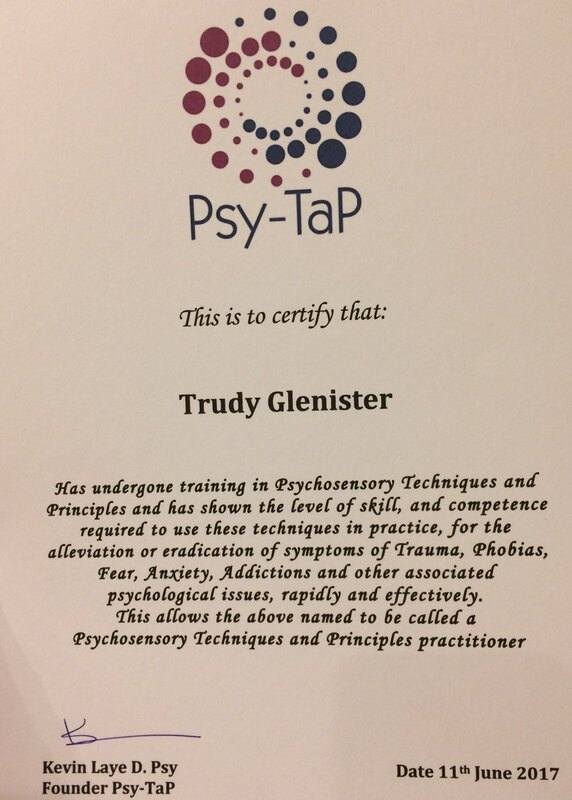 I have undergone training in Psy-TaP and have the competence required to use these techniques in practice, for the alleviation or eradication of symptoms of trauma, phobias, fear, anxiety, addictions and other associated Psychosensory Techniques and Principles Practitioner. Trained by Kevin Laye D.Psy. A brief consultation to understand the 'root' the true truth. For example; During my experience, I believed I would be looking at eradicating fear for my spider phobia. But after consultation I discovered that I had guilt and embarrassment issues too. Back to you; once your issues are established, I write a sequence of tapping created specifically for you. It's easy, You tap yourself by copying me. The experience is non-invasive and liberating. That's it - in my case, no longer scared of spiders! Truly amazing.